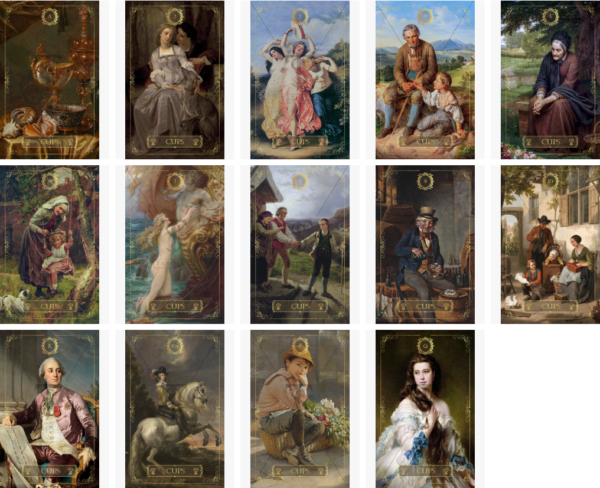 A picturesque portrait or painting is a strong energy flow. The artist not only paints a picture on a particular topic – he puts into his work his thoughts and how he sees the world, and most importantly – the mood, which forms the energy of the image. The finished work of the artist is filled with feelings and radiates the message of the creator, which he laid in his masterpiece. 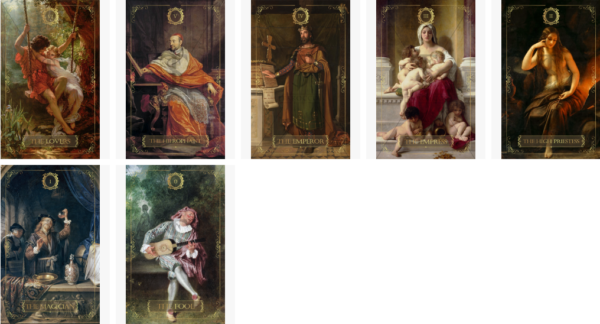 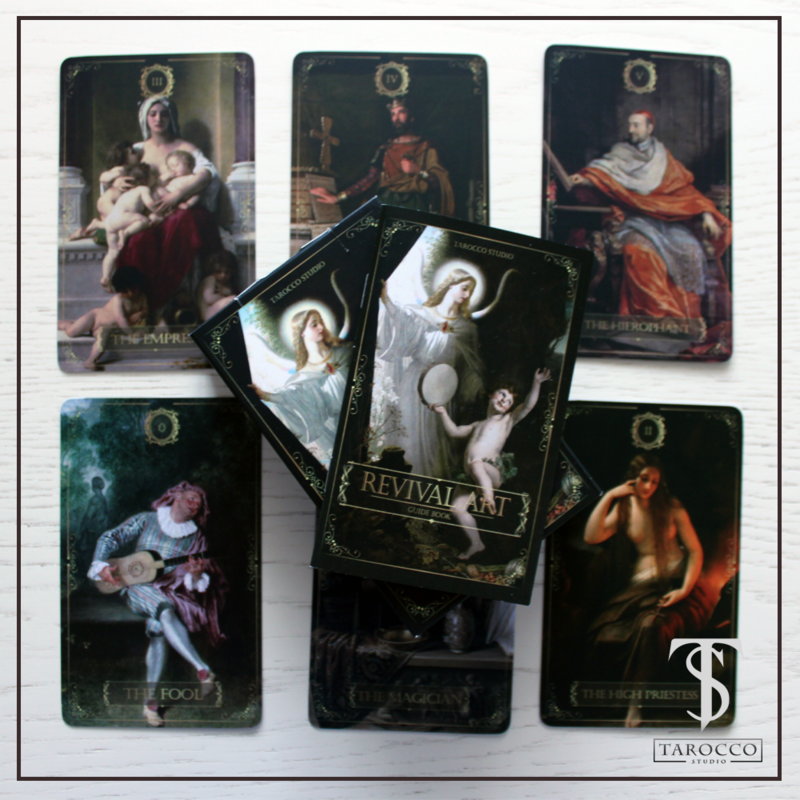 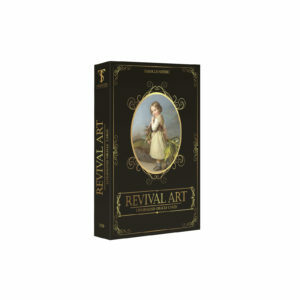 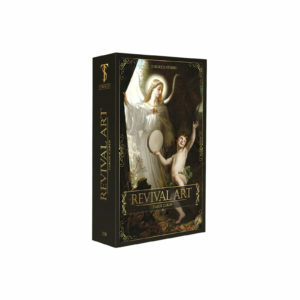 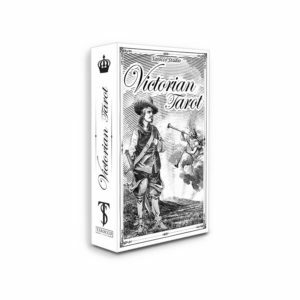 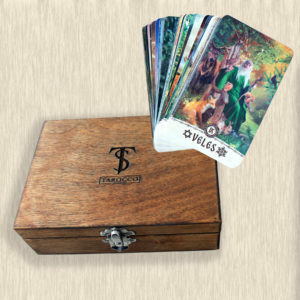 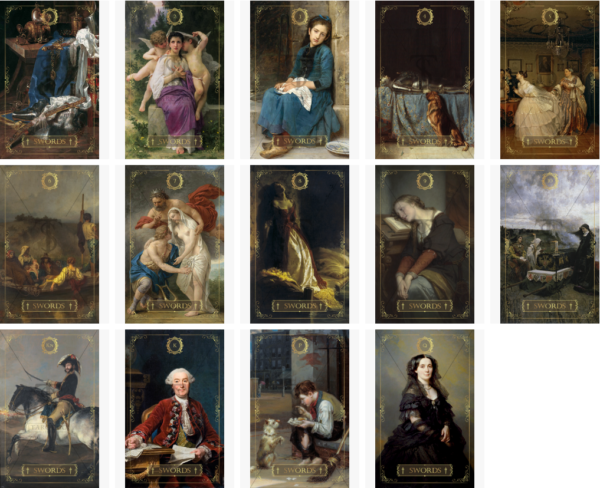 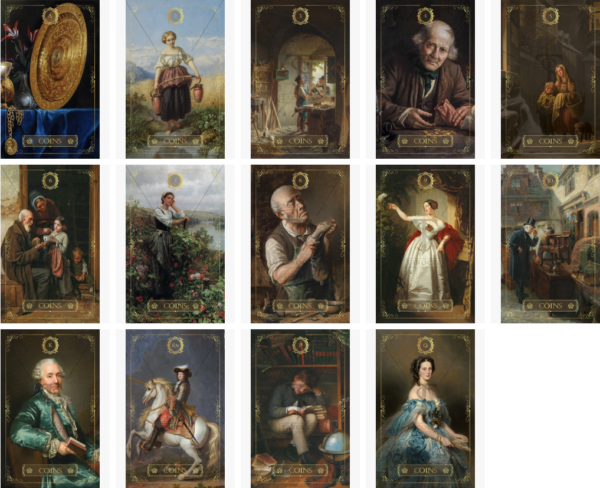 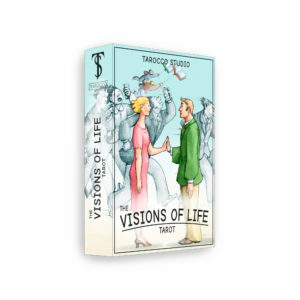 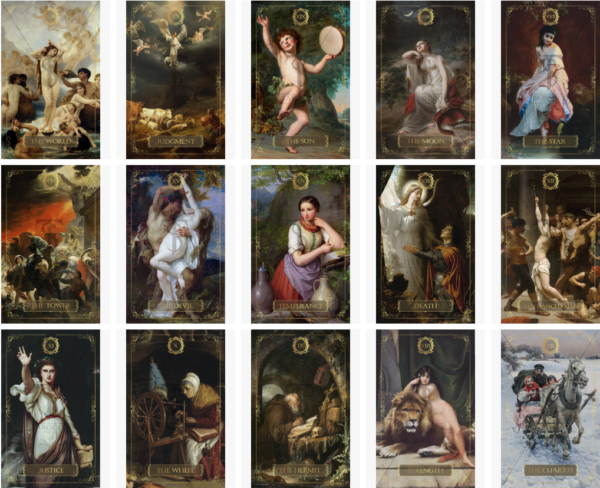 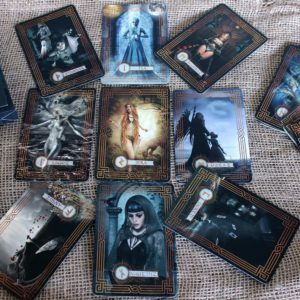 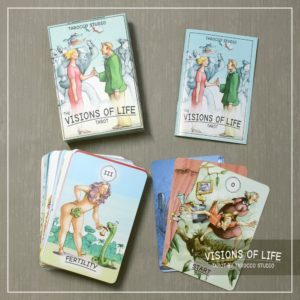 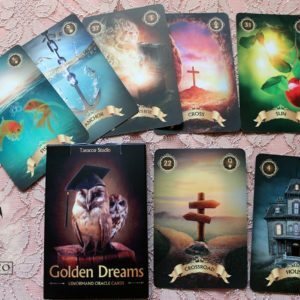 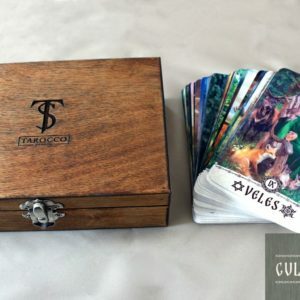 The “Revival Art Tarot” deck with fascinating plots of famous artists accurately conveys a rich stream of feelings. 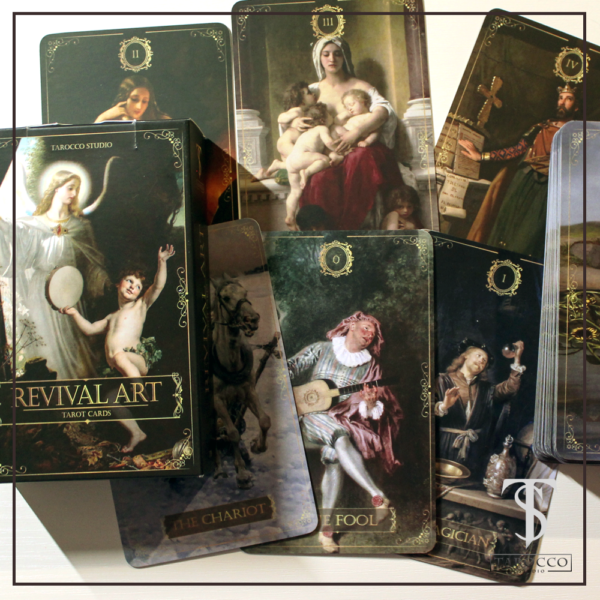 At a conscious or unconscious level, you will have to feel the energy that was laid during the creation of this work. 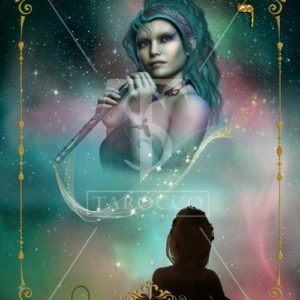 The power and emotions that were implemented during its creation will be your helpers when working with this deck. 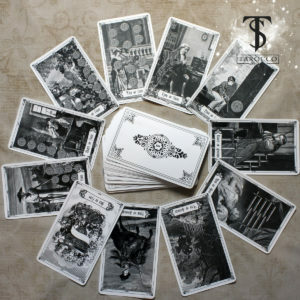 You can determine the potential of this deck at the first touch. 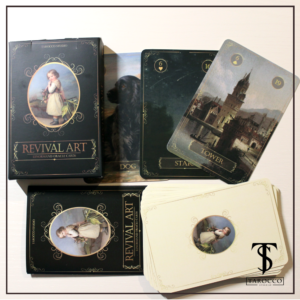 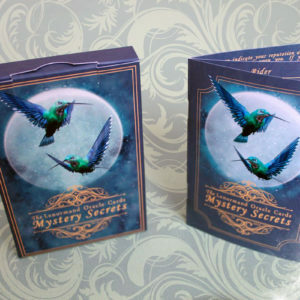 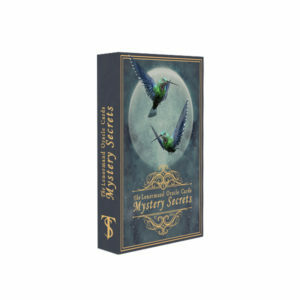 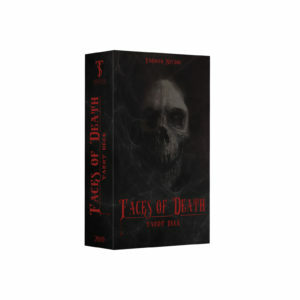 The “Revival Art Tarot” deck consists of 78 cards covered with a protective coating and a guidebook with keywords. 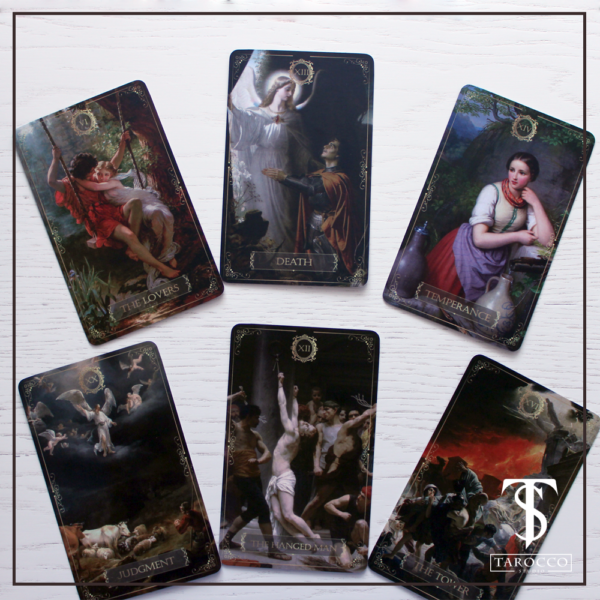 The size of the cards is 80x130mm (3.15in x 5.12in).